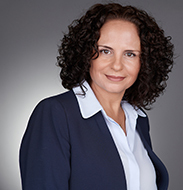 Ms. Ilana Fahima was appointed Executive Vice President, Global Human Resources, in November 2018. Prior to joining ICL, Ms. Fahima served as Vice President HR for Global Quality and Head of Israel HR at Teva Pharmaceutical Industries Ltd. Before joining Teva, she held several positions at Maccabi Health Services, among them Regional HR Director and Regional Service Manager. Ms. Fahima holds a BA in Social Work and an MBA in Health Care Management, both from Ben Gurion University.